Coach Evan Loeser, JCB Majors Division Assistant Coach for the Mariners (rec team) and 11U Raptors (AB team), loves the game of baseball and mentoring younger kids to be better baseball players and better athletes. Evan weekly volunteers his time, baseball knowledge, and love of baseball to the JCB players he helps coach. 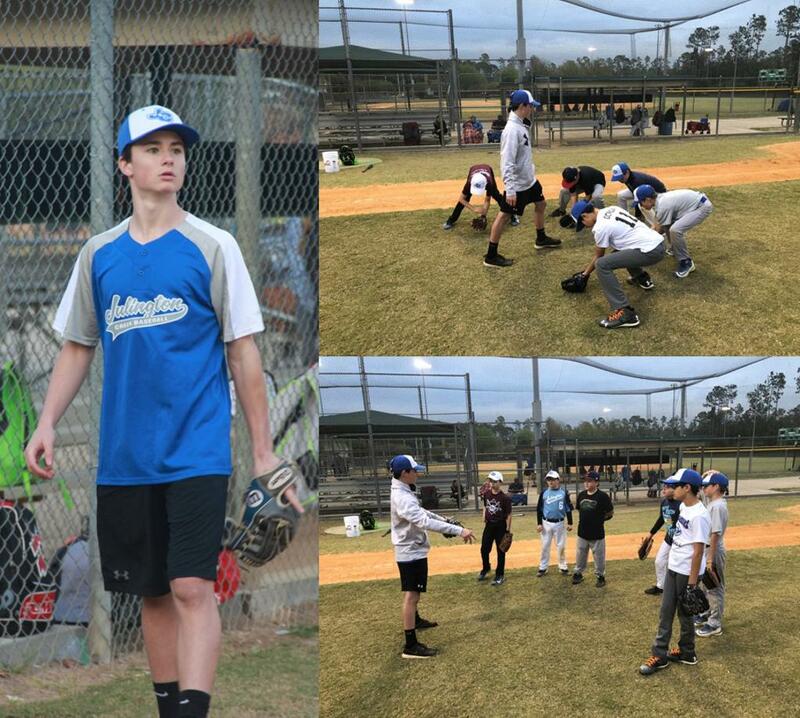 A former JCB player himself, he jumped at the opportunity to give back to the JCB organization at the beginning of the spring 2019 recreational baseball season. Coach Loeser greatly helps his older cousin Mike Van Horn (Mariners Manager), younger cousin Austin Van Horn, and the rest of the Mariners players. Evan goes to Bartram High School, has a 3.4 GPA, and is working towards a Florida Bright Futures Scholarship. He is also currently playing Showcase baseball with the FTB Jacksonville with future dreams of pitching in college and a career path of Sports Management.